Don Harris of La Tienda received the Official Cross of the Order of Civil Merit at a special embassy ceremony on behalf of the King of Spain. The award, one of Spain's highest honors, is in recognition of Harris' extraordinary service promoting the people, culture and foods of Spain here in the United States. Spanish Ambassador Ramón Gil-Casares with award-recipient, Don Harris. I am so grateful for this affirmation of our love for the Spanish people. 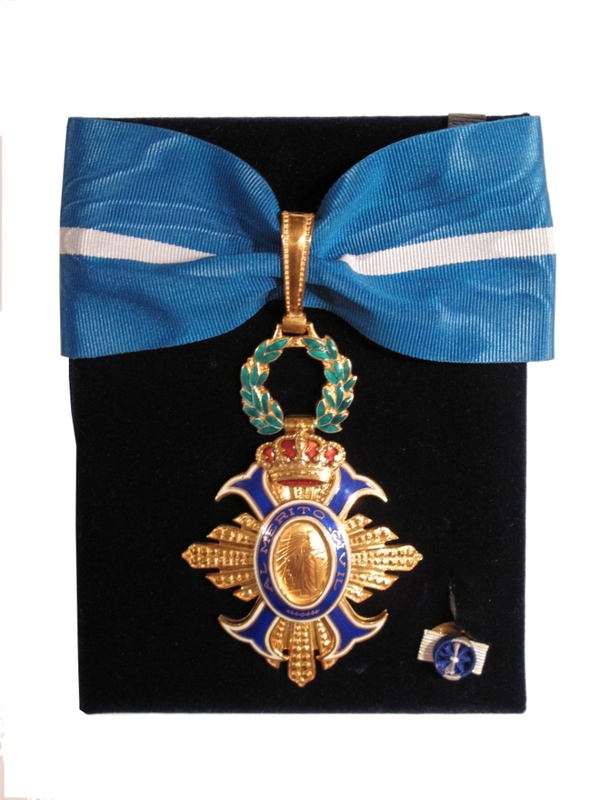 Donald B. Harris, who with his family founded La Tienda, was awarded Spain’s Official Cross of the Order of Civil Merit at a special embassy ceremony in Washington, D.C. on October 11, 2012. The recognition, one of Spain’s highest honors, was bestowed on behalf of His Majesty King Juan Carlos I of Spain by Ramón Gil-Casares, Ambassador of Spain to the United States. The award Harris received is the Spanish equivalent of the National Medal of Humanities in the United States. This eminent Order was established in 1926 to recognize the civic virtues of outstanding individuals whose accomplishments have benefitted Spain. With this award, Spain recognizes Harris’ extraordinary services promoting the people, culture and foods of Spain here in the United States. “To receive this recognition from the King of Spain on behalf of his people is most meaningful. During my lifetime, my family and I have been honored to know many close and loving families throughout Spain. I am grateful that we are able to work with these good people and to honor their artisan traditions through La Tienda,” said Harris. Harris first became acquainted with the Spain in 1965, as a young U.S. Navy chaplain, when his ship made port calls in Barcelona, Palma de Mallorca, Valencia and Rota. In the 1970s, he and his wife Ruth moved their young family to El Puerto de Santa María (Cádiz), near the Rota Naval Base where he was stationed. As they enjoyed life with their sons in a Spanish neighborhood, they developed a deep appreciation of the intimate dimension of Spanish life, where children are cherished and family ties are central. Born in Boston, MA, Harris was educated at the College of William and Mary in Virginia, Claremont Graduate School in Claremont, CA and the Graduate Theological Union in Berkeley, CA. He was commissioned as a Coast Guard officer and subsequently a naval officer where he rose to the rank of captain in the Chaplain Corps. In the navy, Harris was founder and director of CREDO, an ongoing Navy Chaplain Corps program serving sailors, marines and their families. His first book, That’s How the Light Gets In (1995), describes the program, and its spiritual origins. After retiring from the Navy, Harris founded La Tienda with his family in 1996. His vision was to work with them, focusing on a love for Spain that they all shared. With the Internet newly emerging, and food from Spain virtually unknown in the United States, Don, along with his sons Jonathan and Tim, set out to establish one of the first e-commerce sites offering goods from Spain. In 1997, La Tienda was the first to sell Jamón Serrano online. While the business developed, Harris began writing a blog of Reflections on Spain, which he continues to do to this day. La Tienda is now a flourishing online retailer offering a selection of over 800 gourmet foods and artisanal goods from Spain. Still family-owned and operated, the business is dedicated to working with artisan and small family producers in Spain. Headquartered in Williamsburg, Virginia, La Tienda has warehouses in both Virginia and Alicante, Spain, that ship throughout the United States, Puerto Rico, Canada and Europe. Harris, his wife, Ruth, and his sons make regular trips to Spain, renewing friendships with vendors and their families, as they continue to search for the best artisanal products across the country. Harris is most proud that La Tienda is a true family business. His two older sons have taken the helm: Tim as CEO and Jonathan as President and Creative Director. Harris, his wife, Ruth, and their youngest son, Christopher (who was born in Spain), are all actively involved on the board of directors. In 2009, Harris received the Admiral Pedro Menéndez Friend of Spain Award from the Society of Spain for his outstanding leadership and dedication on behalf of Spain and Spanish culture. That same year, the family opened the La Tienda Retail Store, 1325 Jamestown Road, Williamsburg, where Harris comes into his office daily. On Saturdays, Harris’ grandchildren will often come into the Retail Store to work with him. “They have lived in Spain with their families and attended school there as well – it is such a delight to see them help in the store and to foster their love of all things Spanish,” notes Harris. In 2011, Harris published a second book entitled, The Heart of Spain, Families and Food. The book received the National Indie Excellence Book Award in the travel category in 2011. Harris’ work was also integral to the 2012 launch of a free educational website, Learning @ La Tienda, which is directly inspired by his writing and love of Spain. Designed for teachers, parents and learners of all ages, this site features a number of Harris' Reflections on Spain (in both English and Spanish translation), Spanish Cuisine Flash Cards with audio-linked pronunciation by a native of Madrid, as well as beautiful images of Spain taken by Harris and designed to spark classroom conversation. “Don Harris’ authority is supported by extraordinary experience. I doubt that there is another American or North European who has had as wide an experience of the many parts and many foods of Spain,” noted James W. Fernández, Professor Emeritus of Anthropology, University of Chicago. The award ceremony took place at the residence of the Spanish Ambassador, Ramón Gil-Casares, Washington, DC, and was followed by a celebratory reception in honor of Spain’s National Holiday: El Día de la Hispanidad. Founded in 1996, La Tienda is the leading online retailer of Spanish gourmet food, offering over 800 products. Family-owned and managed, the business is dedicated to working with artisan and small family businesses in Spain. La Tienda is headquartered in Williamsburg, Virginia, with its Spanish operation based outside of San Sebastian, Spain. Warehouses in Virginia and Alicante, Spain, ship throughout the United States, Puerto Rico, Canada,Europe and the UK. La Tienda shipped to over 95,000 customers in 2011, including restaurants and renowned chefs. Its first retail store opened in Williamsburg, VA in November of 2009. In 2011, La Tienda received the Outstanding Workplace Education Partnership Award from the Virginia Association for Adult and Continuing Education (VAACE). In 2012, La Tienda was honored with the national award for Outstanding Workplace of the Year from the Commission on Adult Basic Education (COABE).